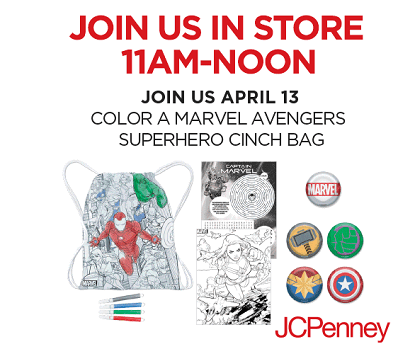 There is a FREE Marvel Avengers Superhero Cinch Bag Event at JCPenney on April 13th from 11am – Noon! Kids can participate in a number of fun Kids Zone activities for free! Items are available while supplies lasts.